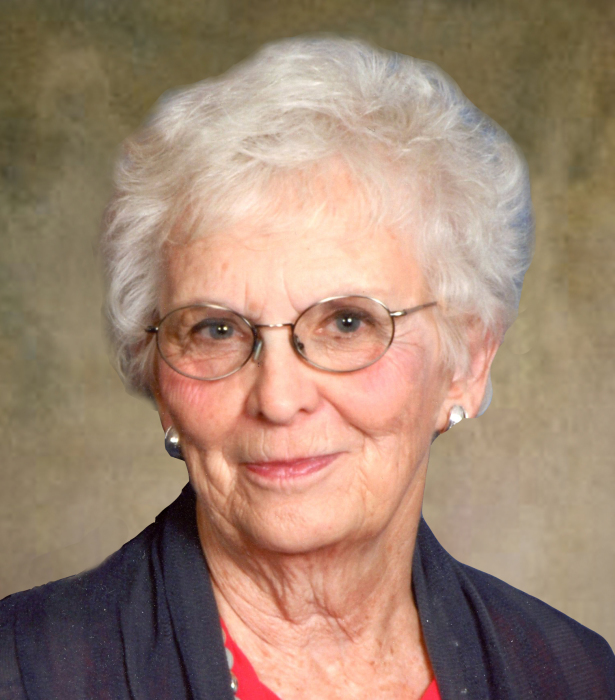 Funeral services for Fay Amundson of Starbuck, MN will be Thursday, February 7, 2019 at 11:00 a.m. at Fron Lutheran Church in Starbuck, MN. Visitation will be Wednesday from 5 to 7 p.m. at the Starbuck Funeral Home in Starbuck and for one hour prior to services at the church on Thursday. A private family burial will take place at a later date. Alice Fay Westdal, daughter of B. A. and Alice (Furgeson) Westdal, was born on May 25, 1938 in Tyler, Minnesota. Fay grew up and attended school in Minneota, where she graduated from high school in 1956. Following her schooling, she began working at Northwestern Bell Telephone Company in Minneapolis. She was united in marriage to Virgil Amundson on October 1, 1961 at Hope Lutheran Church in Minneota. The couple lived in St. Louis Park and Windom for a short period of time. In 1969, they made their home in Starbuck, Minnesota where they raised their family of three children. Fay was primarily a stay at home mom, and spent many hours volunteering at various places throughout her life. Fay was an active member of Fron Lutheran Church and the Minnewaska Lutheran Home Auxiliary. She enjoyed baking, decorating her home, and church for church events, garage sales and antique shopping. Fay would be found at all of her children and grandchildren’s sporting events and plays. Fay and Virgil never missed a game and followed the Starbuck Bucks and Minnewaska Lakers events. Together they have attended over 1,000 games. Most of all, Fay was very religious and had a very close relationship with her Lord. On her last day, Fay told her family that she was ready to go to Heaven. She was able to say “I Love You” to her family while at the St. Cloud Hospital. She will be greatly missed by her family, friends and community. Fay passed away surrounded by her family, on Saturday, February 2, 2019 due to complications from open heart surgery. She was 80 years old. She is survived by her husband: Virgil Amundson of Starbuck; one son: Kurt (Lara) Amundson of Starbuck; one daughter: Kay (Brent) Pakkala of Sauk Rapids; eight grandchildren: Andrew Amundson, Jacob Amundson, Justin Amundson, Ryan Amundson, Brady Peterson, Madison Peterson, Callie Pakkala and Luke Pakkala; one brother: Lincoln (Joyce) Westdal of Camas, WA; one sister: Gwen (Gary) Pyles of La Jolla, CA; one brother-in-law: David Amundson of Willmar; two sisters-in-law: Sharon (Bill) Cronen of Benson and Linda (Bob) Zielsdorf of Benson and several nieces, nephews and cousins. She was preceded in death by her parents; son: Kent Amundson and brother: Galen Westdal.